Connecticut Attorney General Richard Blumenthal retains strong polling numbers despite the controversy over his military service record. Attorney General Richard Blumenthal's down a little in the polls, but the controversy over his military service record does not seem to have had a major impact on how Connecticut voters feel about him. The Democratic Senate candidate is leading GOP candidate and former wrestling executive Linda McMahonin latest Quinnipiac poll, 56 percent to 31 percent. The March 17 poll gave Blumenthal 61 percent and McMahon 28 percent. He is not only ahead, but voters also rated him higher that McMahon on every character measure. 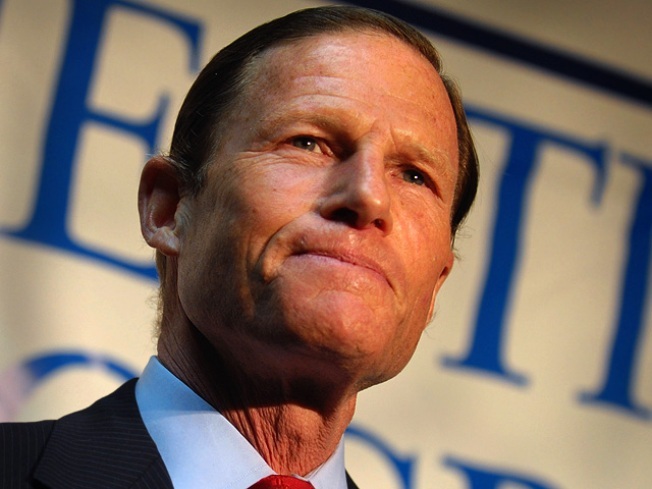 “It looks like Connecticut voters forgive Attorney General Richard Blumenthal, or feel that there is nothing to forgive in the Vietnam service flap. While he has taken a hit with voters, his poll numbers were so high to begin with that he still maintains a commanding lead over Linda McMahon,” said Quinnipiac University Poll Director Douglas Schwartz. Richard Blumenthal outlines his years of service. McMahon secured the Republican nomination over the weekend and leads her primary for U.S. Senate with 49 percent, followed by former U.S. Rep. Rob Simmons with 23 percent and businessman Peter Schiff with 11 percent and 15 percent undecided. Simmons has announced that he is suspending his campaign, but his name will remain on the GOP primary ballot. “What is surprising is that McMahon gets no bounce from her Republican convention victory. The more voters get to know McMahon the less they like her," Schwartz said. Connecticut voters say 33 percent to 2 percent that Blumenthal’s statements about his Vietnam era military service make them less likely to vote for him, but 61 percent say it doesn’t make a difference. 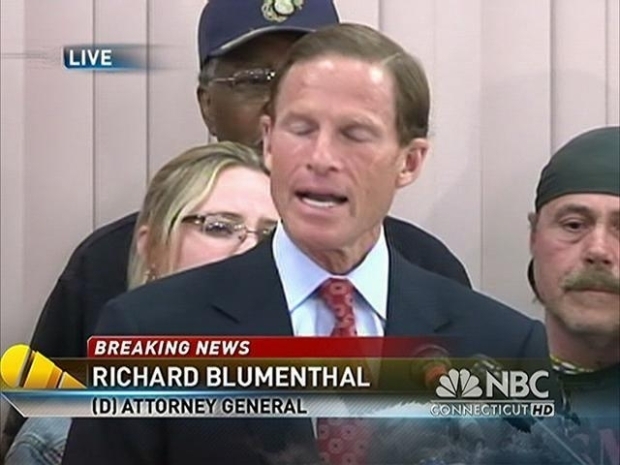 Blumenthal says he unintentionally said he served "in" Vietnam when he meant "during" Vietnam. Voters are satisfied with his explanation, by a 53 to 35 percent margin.